As stated on www.nashville.gov, NashvilleNext is “a long-range plan for Nashville’s future, intended to guide growth, development, and preservation in our city over the next 25 years.” The NashvilleNext plan for Green Hills incorporates the Green Hills Area Transportation Plan and it updates the Green Hills – Midtown Community Plan. Many thanks to Jennifer Carlat for her August 12, 2015 presentation to the Alliance for Green Hills on the NashvilleNext plan. For a link to her presentation, click here. The Green Hills Urban Village Plan was drafted in 1999. Although the plan is older, it is a great resource for understanding how elements of the “urban village” concept could address some of the challenges facing our neighborhood. If you are new to the community plans, start at the beginning – start here – and refer back to it often! A Business Improvement District (BID) or Community Improvement District (CID) is formed by landowners’ petition to the local government. The landowners form the entity, contribute to a pool of funds and use the funds to pay for community improvements. Communities across the country are finding that BIDs create terrific opportunities for a wide variety of projects, from supplementing existing municipal services to funding capital improvement projects. For more information, read the ABC’s for Creating BIDs, by Brad Segal of Progressive Urban Management Associates. 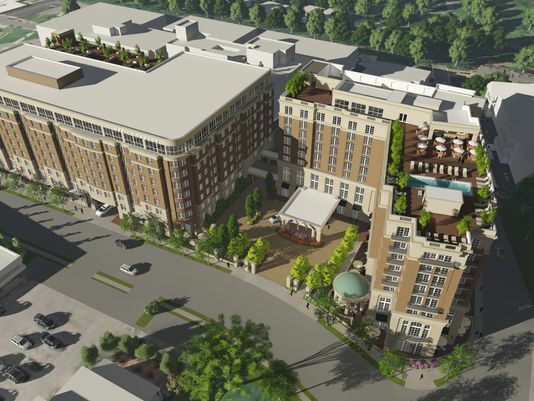 The Bandywood District Design Guidelines are a model for Green Hills. The plan was drafted in 2014 to reflect Bandywood’s unique character with low-impact, sustainable means that serve to protect the natural, historic and aesthetic value of this site. Green & Little, LP and Chartwell Hospitality plan to develop the corner of Crestmoor Road & Cleghorn Avenue into a full-service Hilton Hotel and Residence Inn. 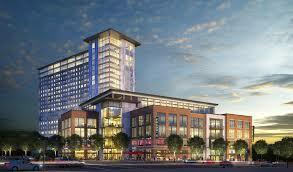 Site work is beginning on this project, as of February 2016. 4000 Hillsboro is a mixed-use community under development by Southern Land Company in partnership with Redwood Capital LLC. This project utilizes a blend of three parcels of land at Richard Jones Road and Hillsboro Pike in Green Hills, one of Nashville’s most desirable neighborhoods. 4000 Hillsboro will have an 85,500-square-foot commercial space including office and retail uses, as well as a 17-story, 301-unit residential tower. 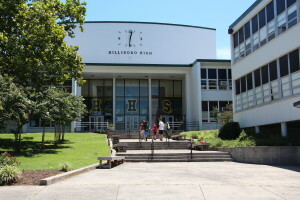 Hillsboro High Sc hool is located in the heart of the Green Hills community. We are still waiting to see what opportunities await this campus and school community, as the construction is underway. Check out the website for updates: http://wearehillsboro.com/campus-construction/.